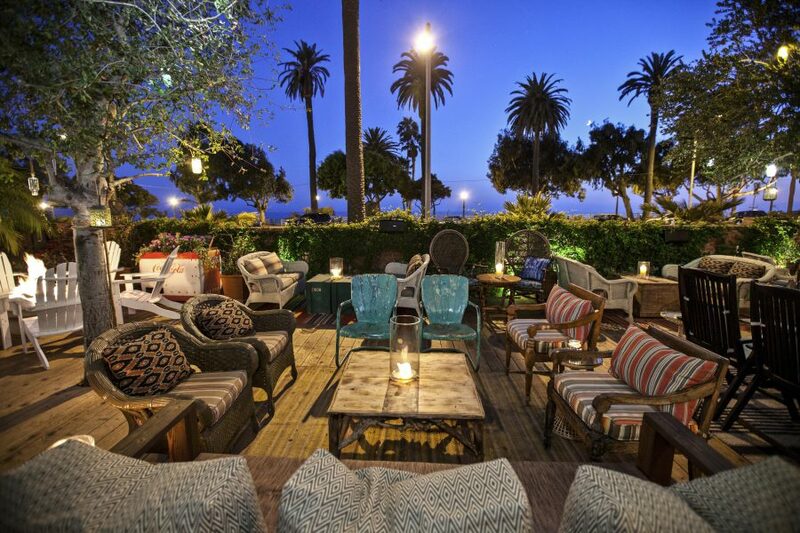 The Fairmont Miramar Hotel & Bungalows in Santa Monica can lay claim to being one of the best beachside hotels in not just Los Angeles, but all of California. The hotel, which is located on the corner of Wilshire Boulevard and Ocean Avenue, is opposite the beach and just a five minute walk over the Pacific Coast Highway to the Pacific Ocean. One of the many highlights of the hotel is the accommodation on offer and here the stars of the show are the 32 beachside-themed bungalows, which line the garden around the pool that have the feeling of a Californian home and come complete with a private patio. Alongside the bungalows, the hotel towers feature 270 guest rooms and suites and many feature spectacular views of the Pacific and Santa Monica Beach. To find out more about the property, WAYFARER’s Editor-In-Chief James Wilkinson spoke with Fairmont Miramar Hotel and Bungalows General Manager, Matthew Lehman, and to watch the interview, click on the image above. On the food and drink front, the hotel is home to one of the city’s most thriving bars the Bungalow – which is in the theme of a California surf rock 1960s hideaway, complete with gardens, rustic interiors and loads of summer cocktails – as well as one of Santa Monica’s most popular restaurants, Fig, which serves up Mediterranean-inspired local produce from wood burning oven and wood burning grill and magnums of Rose by the glass. Other brilliant facilities of the hotel are the pool, fitness centre and the Exhale day spa, which offers a range of massages, facials and transformational body and skin care services. There’s also a barbershop, where you can get a haircut and beard trim for $71. 101 Wilshire Blvd, Santa Monica, CA, 90401, USA. +1 310 576 7777.